Imagination playground is an innovative play space concept. It was designed by American architect David Rockwell to enable child-centred, unstructured and free play. This type of play is important as it helps intellectual, social, physical and emotional development. 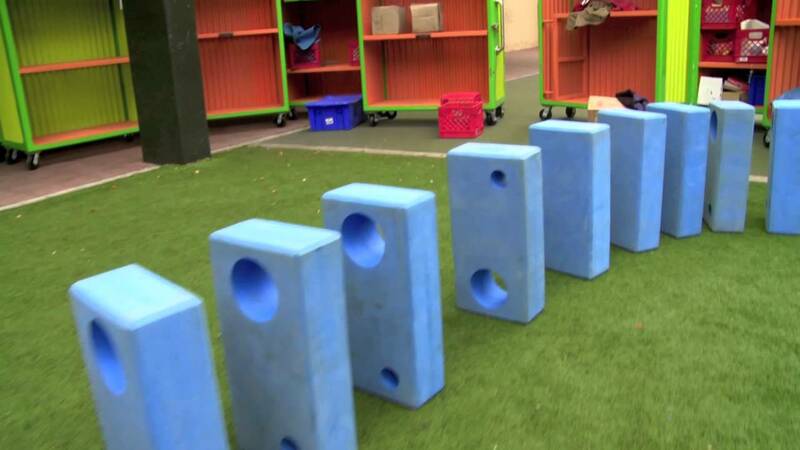 Children as young as three years old can use the pieces from imagination playground. But this kind of creative game continues to be interesting for older kids too. Imagination playground focuses on providing children with the opportunity to continuously change and redesign their play environment. 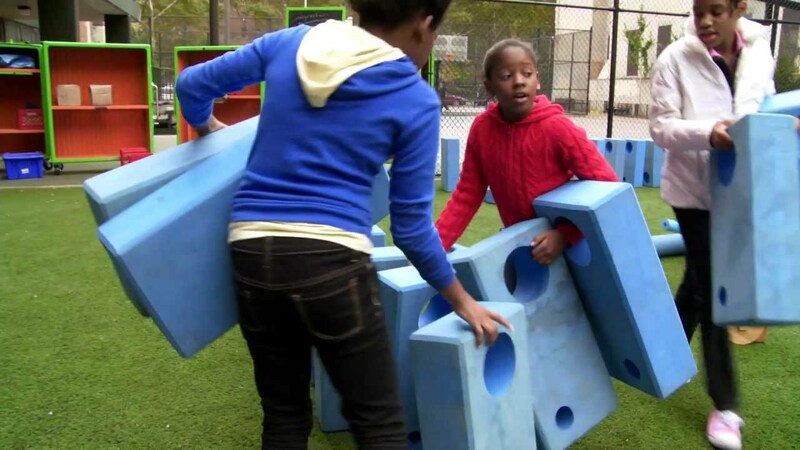 Imagination playground allows and promotes free play involving creativity and social interaction with a view to creating own play and dream worlds. For more information, see the product’s own website. Traditional playgrounds are usually made up of fixed equipment such as slides, swings, and climbing frames which were mainly conceived of with the development of children’s gross motor skills in mind. Imagination playground consists of loose parts that encourage children to design their environment themselves and to create their own playroom and develop their ideas further. Unstructured, child-centred play with geometrical forms is important for the healthy development of cognitive, social, emotional and intellectual abilities. Unlike conventional toys or playgrounds, imagination playground does not dictate the game’s structure. There is no right or wrong and uniform colours mean there won’t be any arguments over toy blocks or rankings. Thus, a new world is created every day in which children, alone or in groups, can design their own scenes, new games, and above all, new rules.